This multiplication chart FREEBIE has been made into booklet form to encourage students to use these charts only as a last resort. Despite a great deal of practice and encouragement, some students really struggle with memorizing. This multiplication chart freebie is perfect for students to pull out of folders when they need a quick helper. 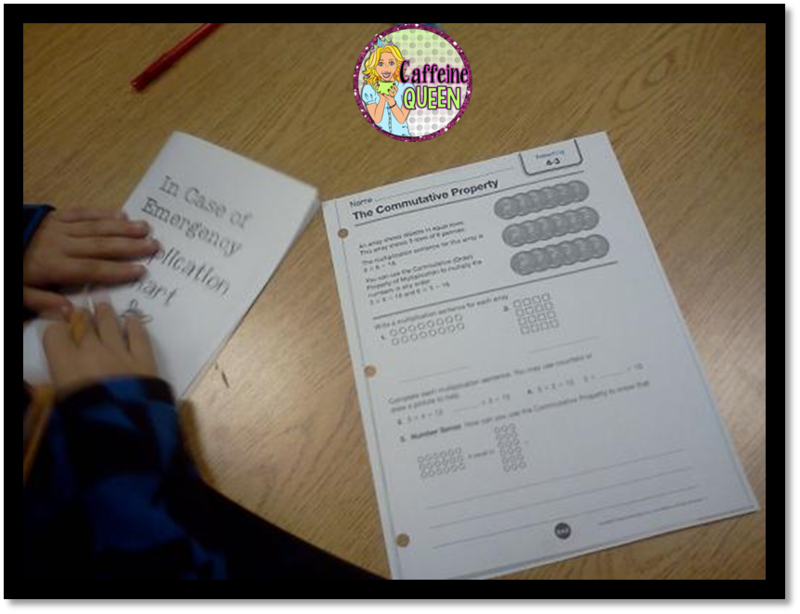 This multiplication chart freebie gently encourages students to use the chart only in cases of “Emergency” when they can’t remember a particular fact. This is perfect for students who need the security of a chart, yet need encouragement to learn the facts independently – which is why this “booklet” has a cover. Multiplication Chart Freebie for students! We’re using our Emergency charts a little too much! Copy the pages back-to-back and fold the paper in half to create a one page booklet that encourages students to think twice before peeking at the chart on the inside. For quick tips for teachers on the go, please subscribe to this website and become a follower at Caffeine Queen Teacher’s Teachers Pay Teachers store! « Beat the Clock – Multiplication Facts Practice Game!